The Copa del Rey champions' return! The cup champions are back home! The blaugranes returned back to Barcelona after their victory over Alavés in the Vicente Calderón in the Copa del Rey final thanks to goals from Messi, Neymar and Paco Alcácer. 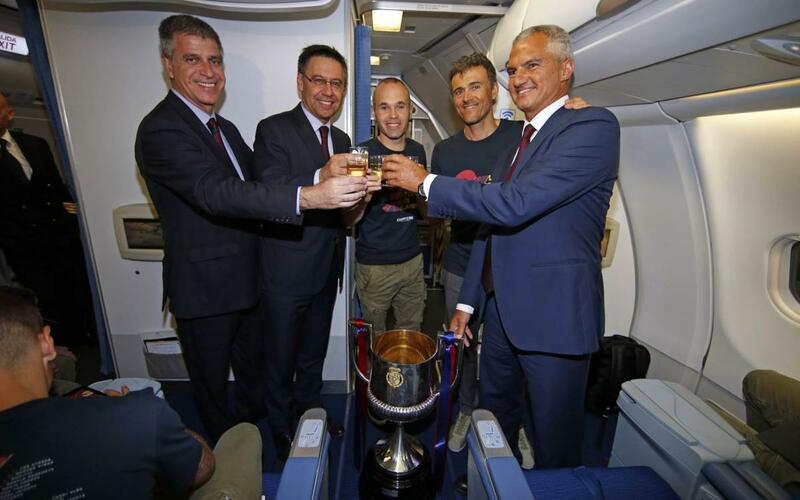 Catch all the details of the return trip; the bus, the plane, the champagne toast with captain Andrés Iniesta, Luis Enrique and president Josep Maria Bartomeu, vice president Jordi Mestre and club director Javier Bordas. Who has the honour of taking the cup off the plane? Find out in our return trip video!